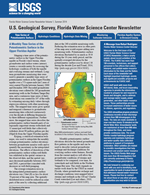 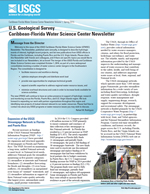 The USGS Caribbean-Florida Water Science Center (CFWSC) Newsletter offers information about recent activities of the CFWSC. 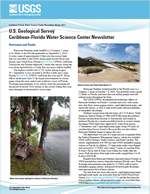 The center has more than 130 scientists, technicians, and support personnel in five offices that collect, interpret, and publish water-resource information for the State and the Nation. 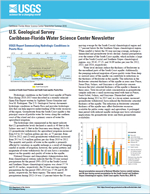 Each issue of the newsletter will highlight important hydrologic events and significant scientific projects and achievements by CFWSC staff.